I am Assistant Professor of Quantitative Methods and Coordinator of Graduate Methods in the School of International Service (SIS) at American University. I specialize in the study of political behavior as well as statistical and experimental research methods. My substantive work focuses on citizens’ capacity to constrain elected officials. Specifically, I am interested in the criteria voters use to evaluate their representatives and the extent to which politicians can use mass communication to manipulate those criteria. I have also taken up projects examining the effect of household water access on children’s education in Sub-Saharan Africa and the effect of economic globalization on tax policy in South America. 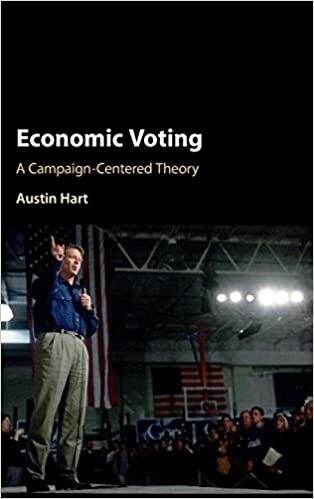 In addition to my forthcoming book, Economic Voting: A Campaign-Centered Theory (Cambridge University Press), my research has been published in the Journal of Politics and Comparative Political Studies. Pieces of these projects were funded by grants from the National Science Foundation (NSF) and the Tess program (Time-Sharing Experiments in the Social Sciences).